In the animal Kingdom, it’s survival of the fittest and now on the Nintendo Switch, it’s survival of the fittest sparkle. 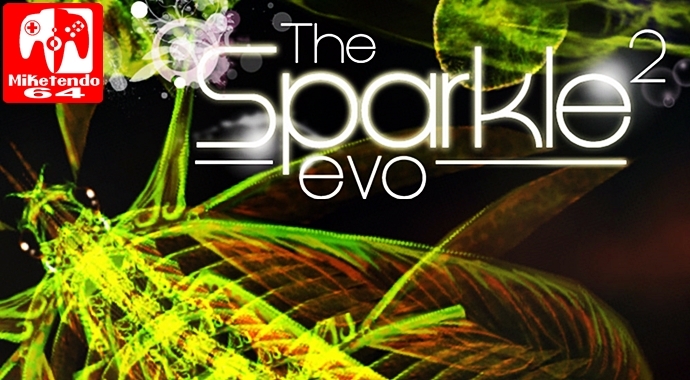 Out now on the Nintendo Switch and developed by Forever Entertainment, The Sparkle 2 Evo is just one of a few games in the Sparkle series with The Sparkle 3 Genesis and The Sparkle Zero being the more recent releases, and I know the Switch has a tendency to enable to allow it’s owners to play games that are usually out of their comfort zone, but The Sparkle 2 Evo might just be a little more so. If I had to sum it up via referencing 2 games, the games I would have to pick is the classic Snake and its gameplay, and the visual worlds presented in Binaries. Admittedly it is something of an odd mix, but as the “love child” of both, The Sparkle 2 Evo is one heck of a beautiful game. With rich neon-like colours, and a world known as the Sparkle Void, The Sparkle 2 Evo is essentially a game that has you throw on a white lab coat, set up a microscope and pop in a slide, with a sample of fresh DNA on it, with a zoom so powerful that you can gaze at all the microorganisms and watch them evolve before your very eyes. Only, being the evolution focused game that The Sparkle 2 Evo is, microelements aren’t the only available food source, as other aquatic-like Sparkle creatures are on the menu too, provided you’re big enough and if you’re not, it just means you’ve got to eat a lot more than you already have and keep on eating, because eating is surviving. So goal wise, The Sparkle 2 Evo has a very simple one, evolve and as for gameplay, that can be done one of two ways. You see while The Sparkle 2 Evo can be played with the likes of a Pro Controller and Joy-Con Controllers, The Sparkle 2 Evo also features touch-screen controls and quite frankly, although I’m not as big as a fan of touch-screen controls like I used to be, but they’re very responsive, easy to use (double tap your Sparkle’s head to use its Superpower and touch and hold to make it swim) and even changing layers is a cinch as it’s as easy as touching the up and down facing arrows at either end of the screen, or R, ZR, L and ZL buttons. Good graphics and a complementary soundtrack throughout the entire game aside, in terms of size and scale, The Sparkle 2 Evo is anything but a large game as it is something you can blitz through in a matter of hours and there’s only two modes, which doesn’t really make that much of a difference. In competitive mode you can go head to head against AI controlled Sparkles to see who can eat the most microelements and evolve into the evolutionary being you were always meant to become, or you can disable the Competitive mode and tackle the very same levels, only now you’re free to take as much time as you want/need to explore the vibrant levels and eat all the required food, Other than that, that’s pretty much all there is to The Sparkle 2 Evo as while it is a game about microorganisms striving to evolve, it too is micro in size.